Account-based marketing is an integrated strategic approach that coordinates personalized marketing and sales efforts to deepen engagement and nurture prospects, which encourages sales amongst different decision makers at specific target companies. Account-based marketing (ABM) is one of the most exciting recent developments in recent years. Although the concept of ABM isn’t new, today’s digital marketing techniques have provided many new options for the ABM process. Learning ABM tactics and best practices can be difficult as much of what is written about ABM explains the concept or technologies without explaining the process of getting results. That’s where this guide comes in. 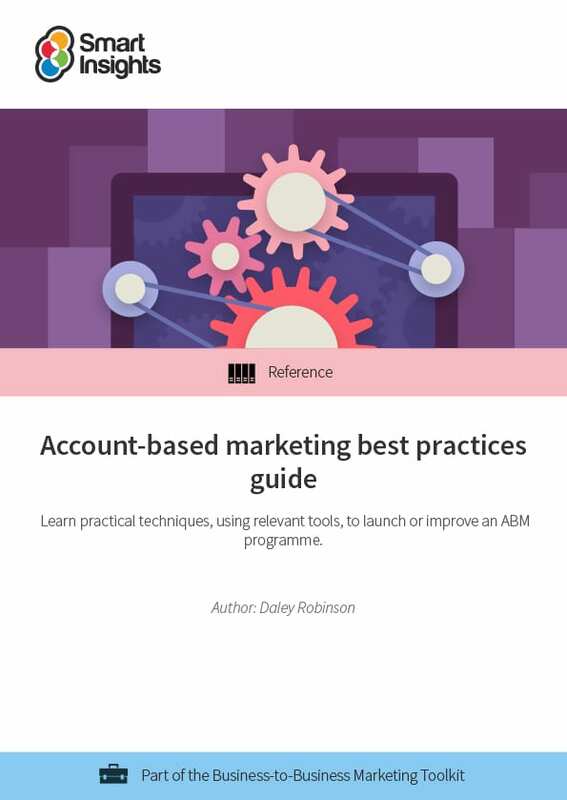 This guide will help you implement or improve ABM within your business. 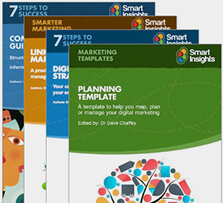 It talks you through the best approaches and alternative insight tools to give a step-by-step, actionable, and practical guide. 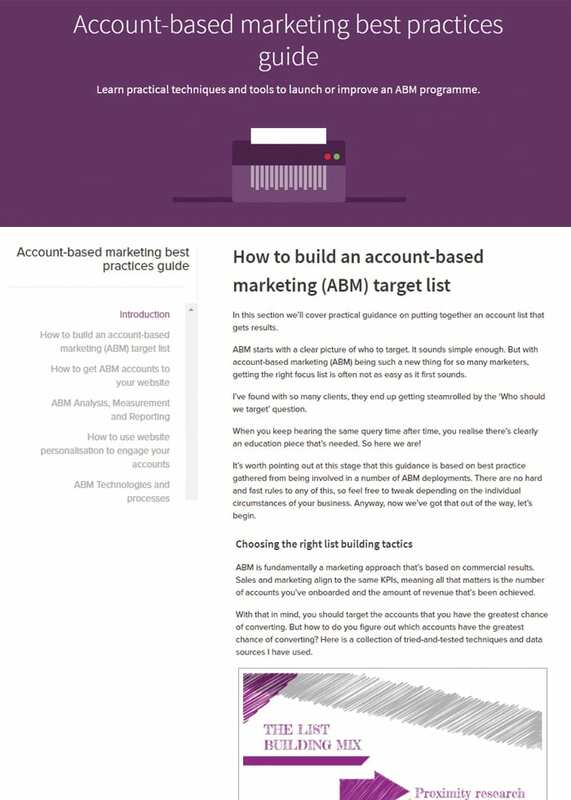 It covers how to build a target account list, how to create an ABM strategy, and techniques to engage individual companies and monitoring ABM. How is this guide to ABM structured?